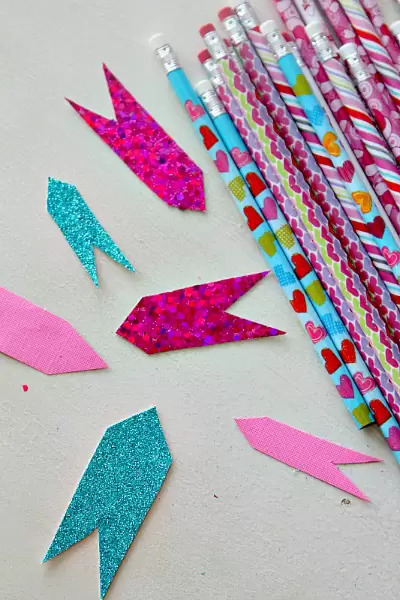 Looking for an easy craft to do with all that extra construction paper lying around? The biggest surprise here was that I figured this out right out the gate…which means you can too. 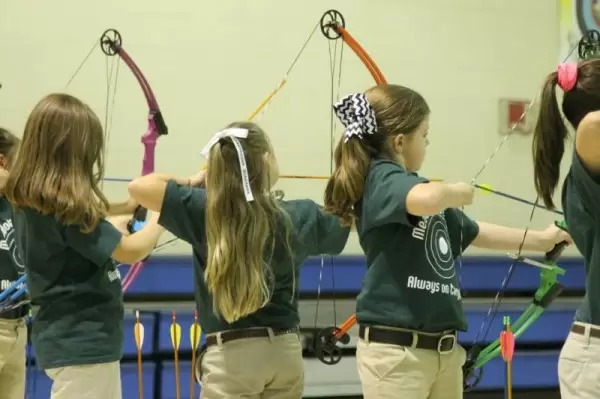 First, let me explain that Charlotte is on the school archery team. Let’s just say she wont be in the Olympics for it, but I was still pondering today how cute it would be for her to give out “arrows”. I originally wanted to get real feathers, cut them up and clue them on and then I was like…nah. I like to do crafts with supplies that the average parent has in their home, so I went with construction paper method. Start by cutting out some “feathers”. It’s easier to show you than tell you. The biggest tip I can give you here is to snip slowly…I had a lot of uneven arrows. 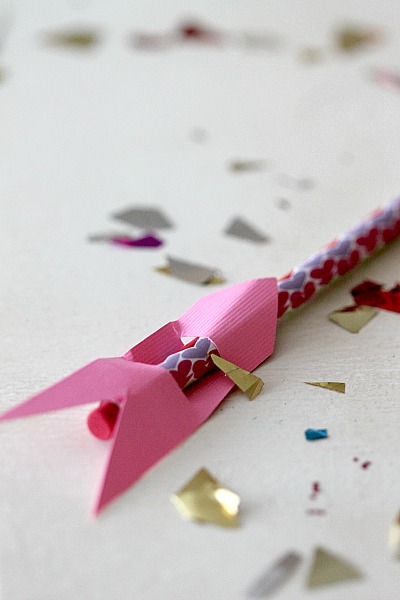 Now just like the Valentines Day Heart Toppers, you need to snip spots for the pencil to go into. Fold in half and snip. The only time I had issues w/ this was when I used the sparkly card stock. 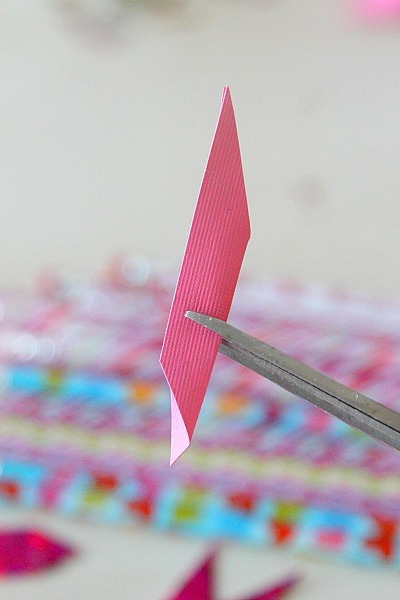 Its actually hard to fold without getting a crease, so if you have another way to slit that line, use it. Slide your pencil in. I prefer the pointy side to show so put your pencil in from the bottom. 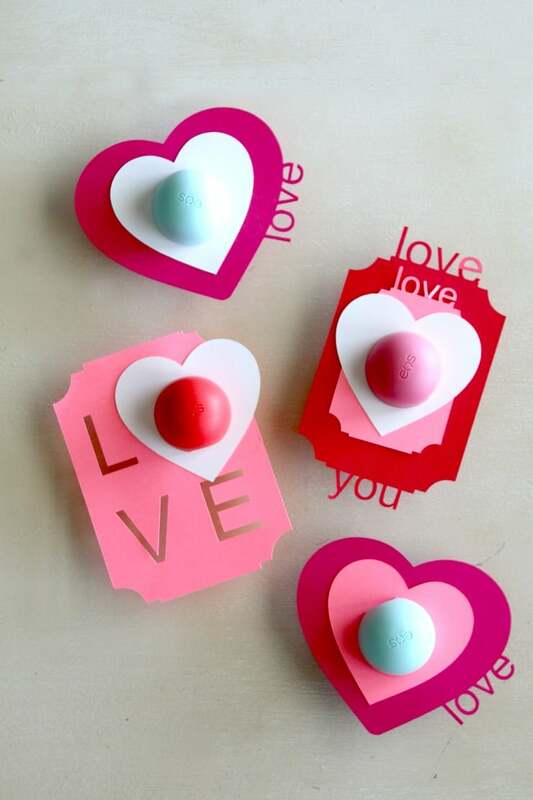 Some valentines day crafts for you, just click to go! « How to Annoy your Cat: With Free Printable! Awesome tutorial. Come on over and link up @ my party. pinned! These pencils are adorable! 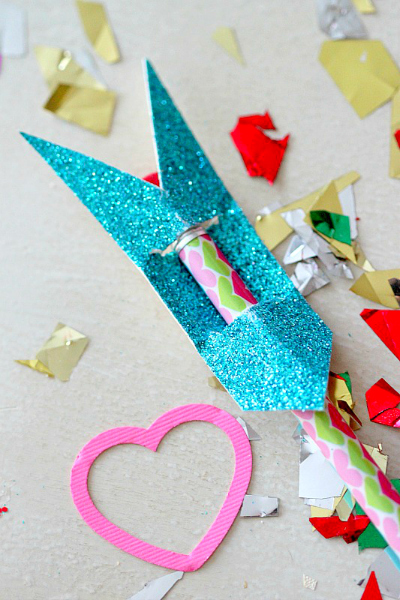 What an adorable craft to make with the kiddies! Thank you for linking up at the Weekend re-Treat Link Party! ADORABLE! And so easy – love it! Love this idea! I’ll have to pin this for a craft with the kids this coming weekend! Thanks! 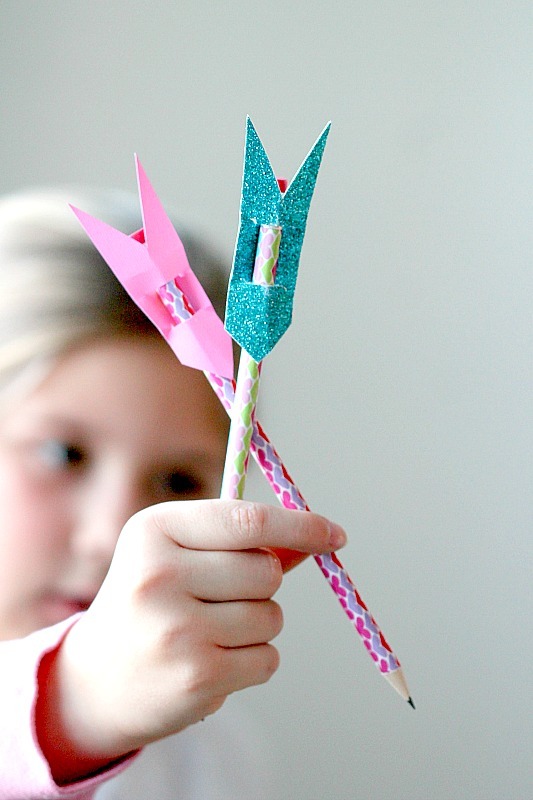 Those are so cute and appropriate considering she is an archer! These would be perfect to make with my five year old! Cute and so perfect for her! To cut the slits without creasing or folding the paper you could try scrap cardboard under the paper and use a utility knife to cut the slits. Great idea! Great theme for your daughter. 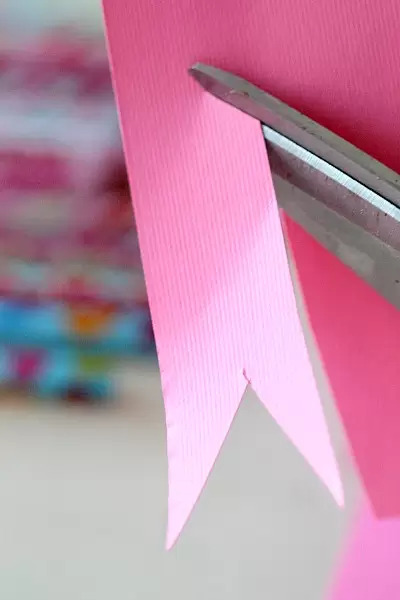 Those bows they have for the kids are pretty neat. 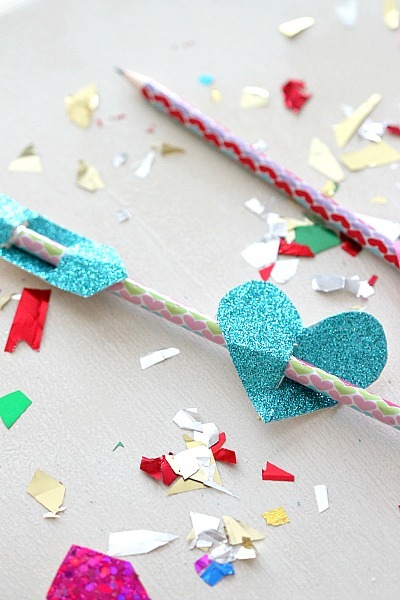 These are so cute and look so simple to make! This would be nice instead of those junky cards usually given. What a cute easy idea and perfect compliment something your daughter loves. And I love the pencils you chose- very cute. You know what? This is Zoe’s Valentine’s this year! 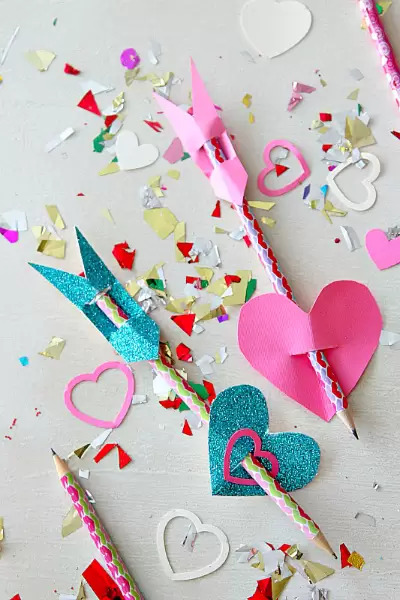 I’ll add names to the arrows, so easy and useful because all kids need pencils! 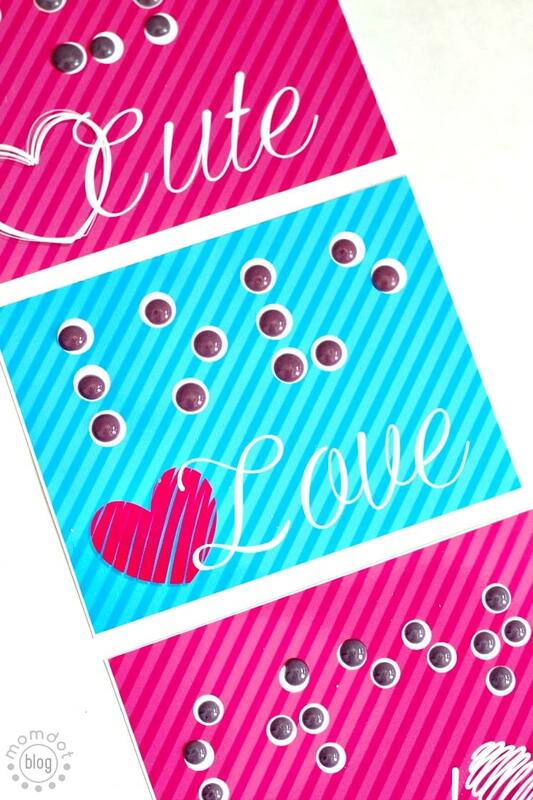 I got my pencils 24 pack valentines at Hobby Lobby for $2.99 and they were 30% off of that. Cheap!